Her deep rooted heritage is amply reflected in her architecture literature, dance, drama, music and painting. 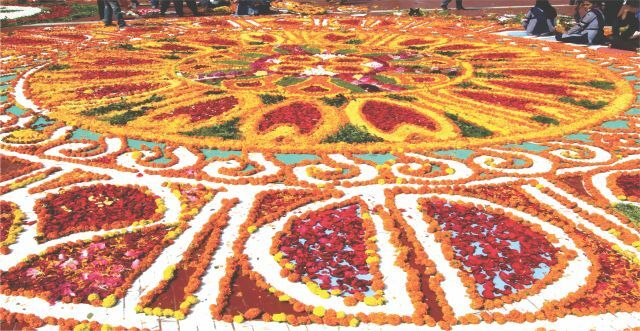 Bangladeshi culture is influenced by three great religions- Islam, Hinduism, and Buddhism in successive order, with Islam having the most pervading and lasting impact. 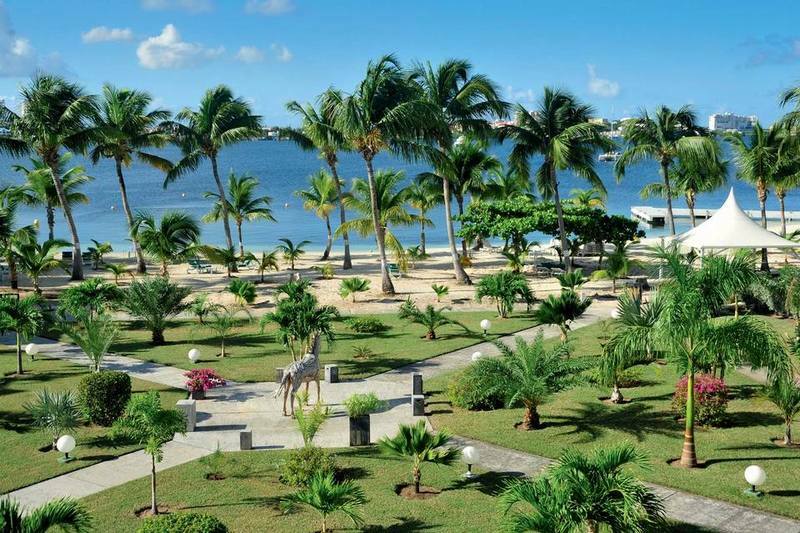 Forty-eight kilometers from Teknaf, St. Martin’s is the country’s only coral island and an unspoilt paradise. Named Narikel Jinjira (Coconut Island) by the locals, the dumbbell shaped St.Martin’s has an area of only 8 sq. km. which reduces to about 5 sq. km. and in places from 1-4 meters during high tide. The Cox’s Bazar Holiday Complex of Bangladesh Parjatan Corporation on the island is an shore tourist resort having comfortable accommodation, catering, sightseeing and other facilities. The beauty of the setting-sun behind the waves of the sea is simply captivating. Locally made cigars and handloom products of the tribal Rakhyne families are good buys. Located at a distance of 152 km. south of Chittagong, Cox’s Bazar is connected both by air and road from Dhaka and Chittagong. Visit to the fascinating picnic spots at Himchari and Teknaf, the Buddhist Temple at Ramu and nearby islands of Sonadia and St. Martin’s, Inani Beach and Moheshkhali are certain to become unforgettable experiences for every visitor. 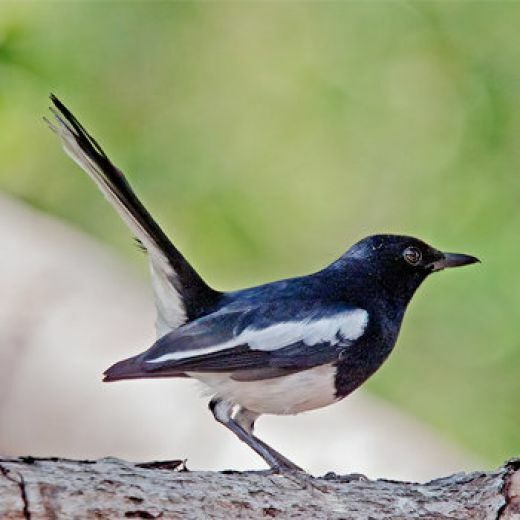 A sweet bird called doel is the national bird of Bangladesh. Its color is a mixture of black and white. The doel is small in size and fickle in movement. In rural area of Bangladesh the doel is frequently seen. One of the brightest features of the doel is that it has an enchanting whistle playing off and on. The doel does not fly very high and likes to stay close to the earth. It feeds on insects. Cox’s Bazar sea beach is the world’s longest unbroken clean sandy beach. It is about 120 km long. It naturally attracts many tourists from different corner of the earth due to its smooth and spongy carpeting of silvery sand sloping smoothly into the crystal clear water of the Bay of Bengal. Cox’s Bazar is renowned for its tranquil nature with the magnificent green trees and attractive hills on one side and the appealing waves on the other. The Sea beach is perfect for bathing, and swimming around the edge. The marvelous sight of the sunset behind the blue waves of the sea is truly breathtaking. Sundarban is the biggest mangrove forest in the world. Sundarban is in South West part of Bangladesh, in the district of greater Khulna. India shares a bit of the forest with Bangladesh. The total area is about 38,000 square kilo meters. 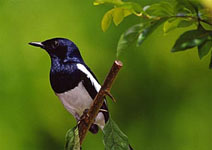 Sundarban is a large block of littoral forests.The beauty lies in its unique natural surrounding. The Sundarbans are a part of the world’s largest delta formed by the rivers Ganges, Brahmaputra and Meghna. Thousands of meandering streams, creeks, rivers and estuaries have enhanced its charm. 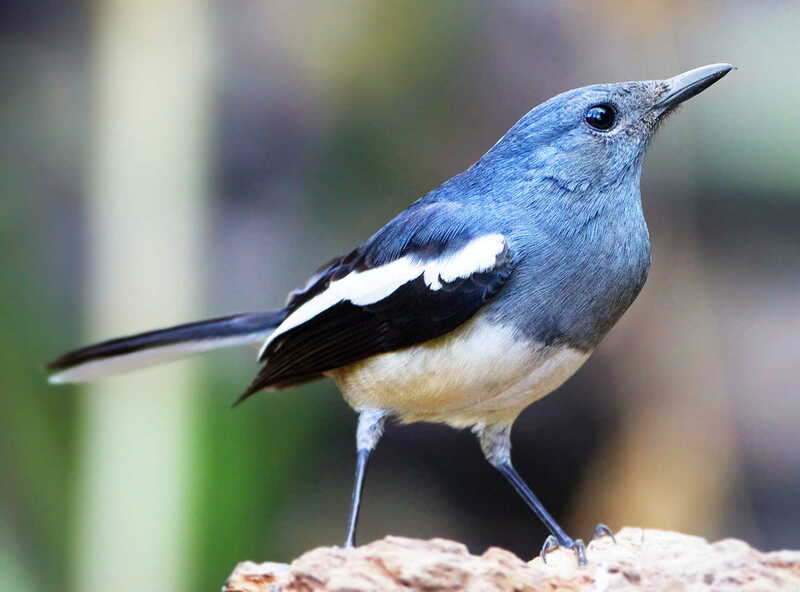 For miles and miles, the lofty treetops form an unbroken canopy, while nearer the ground, works of high and ebb-tide marked on the soil and tree trunks and the many varieties of the natural mangrove forest have much to offer to an inquisitive visitor. all-weather metalled road through the green forest up hills down dales into the solitude of nature. 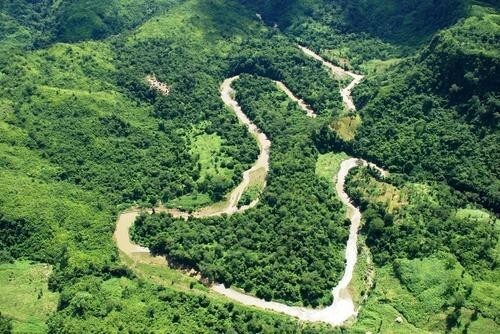 Bandarban, the district headquarters of the Bandarban Hill District, is situated ninety-two km. from Chittagong. 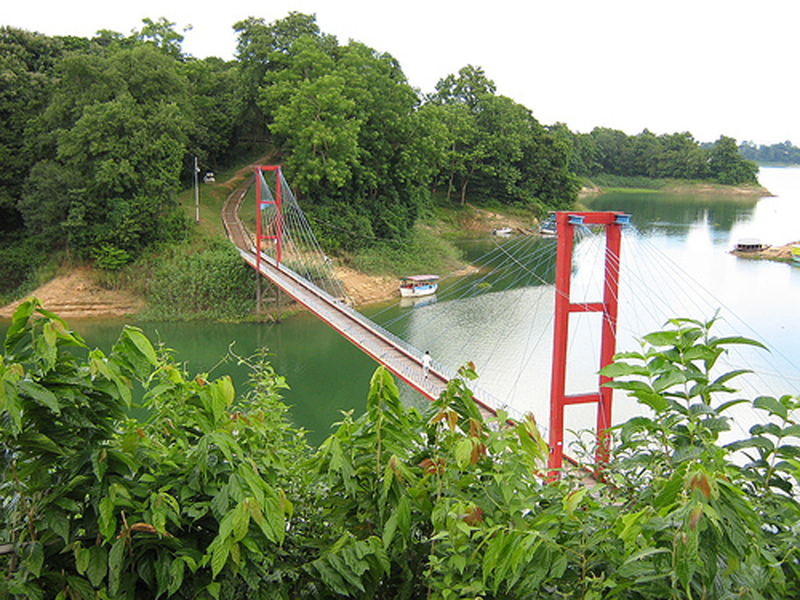 Bandarban is hometown of the Bhomang chief who is the head of the Mogh tribe. The simple and hospitable Moghs are of Myanmar origin and Buddhists by religion, jovial and carefree by nature. 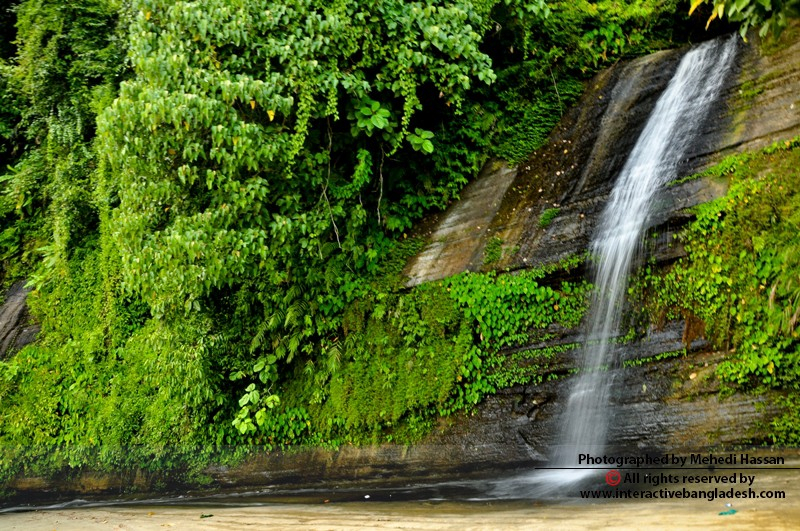 Bandarban is also the home of the Murangs who are famous for their music and dances. Several other tribes of great interest live in the remote areas of the district. 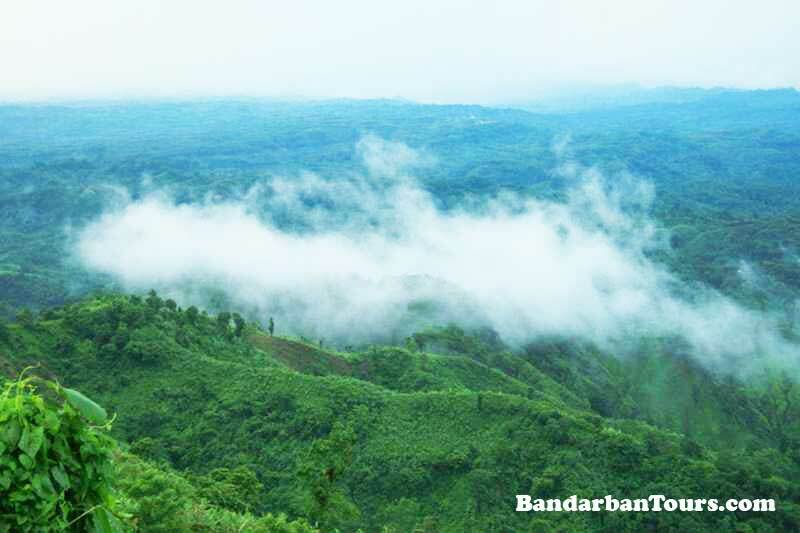 The highest peak of Bangladesh-Tahjin dong (4632 ft)-is located in the Bandarban district.